There are many paths to a career in nursing. You can choose from the Associate Degree in nursing (ADN), the Bachelor of Science in nursing, or the less popular Diploma in Nursing. The ADN program is offered at community colleges and career-focused nursing schools and is designed to be completed in two years. The four-year BSN is offered at colleges and universities, and like the ADN, prepares students for the Nursing Council Licensure Examination (NCLEX). The ADN is widely popular as it allows faster entry into the workforce. However, workforce trends will require many of these graduates to obtain the BSN through RN to BSN programs. Whether you choose the ADN or the BSN, your eventual title will be the same after licensure – registered nurse. Apart from preparing students for an entry-level nursing position, the BSN offers additional benefits that will add value to nursing practice. ADN graduates cannot rely on the degree for career advancement. In contrast, the BSN program includes specific aspects of training that support advancement to leadership and management, community health, and graduate study. Employers have a strong preference for BSN-prepared nurses. 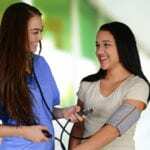 This hiring trend has been bolstered by the authoritative advice of the Institute of Medicine, which included a call for 80 percent of nurses to hold a BSN by 2020. These and other recommendations and findings published in the Future of Nursing report drive enrollment in BSN programs. To increase your employment opportunities, consider the BSN, especially if your goal is to work in a large metropolitan area where the job market is competitive. Similarly, the BSN is vital if your career goals include becoming a nurse educator, nurse practitioner, clinical nurse specialist or some other advanced practice role. As a BSN-prepared nurse, you’ll not only have a competitive advantage, but also a wider range of employment opportunities. Applying your knowledge of community health, leadership, and health promotion, you can apply for positions as nurse managers, charge nurses, and staff nurses in hospitals, public health clinics, home health care, extended care facilities, schools, and medical centers. Your choice of program will be guided by your priorities. If your budget is limited and you want to enter the workforce sooner, the ADN program is the best option. But if you want to start your career on a solid foundation – in spite of the cost – then the BSN is the way to go. Let your career goals guide the decision. According to United States Bureau of Labor Statistics, employment of registered nurses is projected to grow 15 percent from 2016 to 2026, faster than the average for all occupations. With such a strong outlook, both ADN and BSN graduates will secure employment with months of licensure. BSN graduates will have a better chance with hospital employers where they will provide and coordinate care, counsel patients, and offer emotional support to patients and their families. Following is a list of the various types of BSN programs available in Maine. LPN to BSN: Licensed practical nurses can take a fast track to the BSN through the LPN to BSN program. The program supports career mobility for licensed practical nurses who are increasingly confined to extended care facilities. Upon completion of the requirements, they will receive a Bachelor of Science degree in nursing and will be eligible to sit the NCLEX to practice as a registered nurse. LPNs must have their education and experience validated in the admissions process to obtain credit, which will let them complete the BSN requirements in 5 to 6 semesters after completing the prerequisite courses. At the time of application to the program, the applicant must have completed an accredited LPN program and hold an unencumbered license in Maine. RN to BSN: Registered nurses seeking to meet the new standards in practice can enroll in the RN to BSN program to improve their career prospects. RNs will receive credit for prior study and experience and earn as much as 80 credits towards the BSN degree. Students must complete 128 credits, including transfer credits, to obtain the degree. Over a period of 12 to 24 months, the student will complete courses that will develop evidence-based practice, communication, critical thinking, management, public health and other skills that are excluded from the associate degree program. RN to BSN programs are offered online to accommodate the educational needs of nurses without interruption of their work/life schedules. Credits will be transferred from accredited nursing programs only. Applicants must have an unencumbered license to practice as a registered nurse. Traditional BSN: The traditional BSN program requires a commitment of 4 to 5 years to complete the didactic and practical training. Graduates are eligible to apply to the Board of Nursing to sit the NCLEX for registered nurses. Upon licensure, they can practice at various healthcare facilities using their critical thinking, communication, leadership, public health, and research skills to improve patient outcomes. Studies have found that nurses who complete the BSN degree are more likely to enroll in graduate programs to prepare for advanced practice and nurse educator positions – both areas of great need. Fast-track BSN: The fast-training BSN is designed for professionals who hold a non-nursing bachelor’s degree. The program builds on the students’ previous academic training and prepares them to transition into the field of nursing. The transfer of credits lets students complete the degree in considerably less time that it takes to complete the traditional pathway. The accelerated program requires full-time attendance to complete the comprehensive coursework. 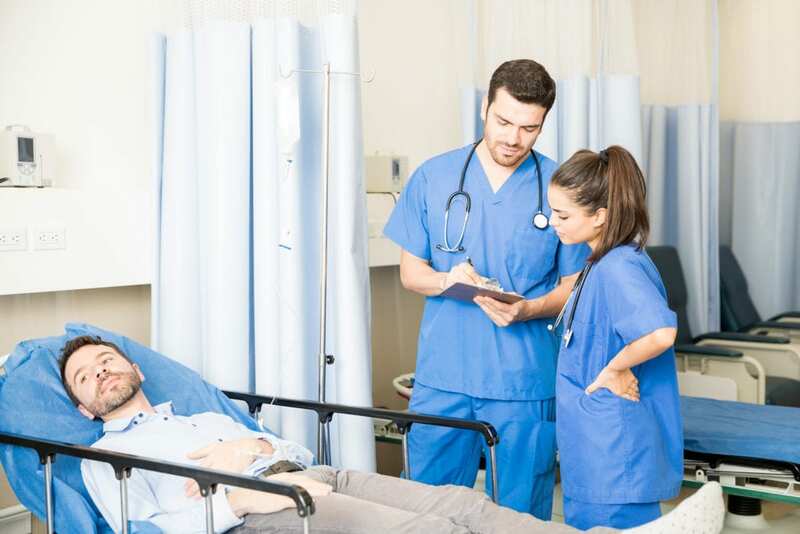 As more professionals seek to transfer to nursing where the opportunities and finances are more rewarding, educational institutions are developing and offering the fast-track program to support the transition. Like other pre-licensure nursing programs, graduates must take the NCLEX-RN for licensure to practice as a registered nurse. The BSN program educates students to become nurse generalists capable of caring for patients, families, communities, and populations across the lifespan in diverse healthcare settings. Core nursing courses will build upon the foundation set by liberal arts, basic and applied sciences, and social sciences. Nursing courses will begin during the freshman year – for most programs. The hands-on clinical experiences, designed to reinforce theory and build clinical skills, will commence during the sophomore year. Graduates will qualify to the NCLEX-RN and will have a solid foundation to continue to graduate study. They will assume accountability to society as they use communication, leadership, research, and critical thinking to apply the nursing process and improve patient outcomes. BSN programs enroll a limited number of students each year. Admission to the program may be very selective, so make sure to complete any prerequisite requirements before submitting an application. Since many applicants might exceed the minimum requirements, a waiting list may be in force. Alternatively, there may be a short-list of the most qualified applicants, and those who are not selected will need to resubmit another application for the subsequent semesters. Short-listed applicants may be contacted for interviews and evaluations earn their spot in the program. The clinical sites will determine additional requirements, which will include health exam completed by a licensed physician, immunization records, criminal background check, CPR for Healthcare Providers, health and liability insurance, and TB clearance. As people seek more rewarding lines of work, nursing appears to be one of the most credible. The growth of accelerated BSN programs is a response to the need for professionals to obtain the preparation necessary to practice as a registered nurse. The program is open to those with a 4-year bachelor’s or master’s degree in an area not related to nursing. The curriculum requires much less time than the traditional BSN, but it is far more intensive due to the pace of the studies. As more professionals turn to nursing, they will help to alleviate the current deficit. The ABSN can be completed in as little as 15 months and is ideal for professionals who aspire a career in nursing but don’t want to invest an additional four years of preparation to obtain a second degree. As nursing emerges as a popular second career choice for adults with professional degrees, the competitiveness of enrolling in the accelerated nursing program is expected to increase. The students are typically older than traditional students and exhibit the determination to complete the BSN requirements in the allotted timeframe. Part-time or full-time employment is not recommended during the intensive program of study. The curriculum builds on the student’s previous academic studies and life experiences and comprises primarily of core nursing theory and clinical experiences. Students must complete the prerequisite courses in science and statistics. Graduates are eligible to apply for the NCLEX-RN for licensure as a registered nurse. Applicants must hold a baccalaureate degree from an accredited university or college. Admission is competitive. It requires completion of the general undergraduate admission requirements, a GPA of 3.0 or higher from the bachelor’s or master’s program, meet the clinical health and background check requirements, and CPR certification. A resume and nursing essay may be required with the application. The cost of tuition in the University of Maine system is $233 per credit for residents. Expenses for books, insurance, supplies, transportation to clinical sites, and fees will amount to approximately $2,580 per year. Following is a list of Board-approved BSN programs in Maine with the NCLEX-RN pass rates.